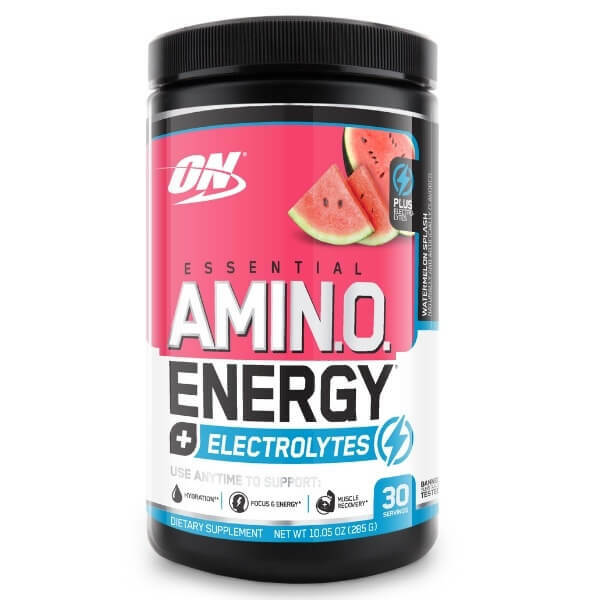 Optimum Nutrition Amino Energy With Added Electrolytes is a brand New addition to the already popular Amino energy range from Optimum Nutrition. What many people do not realise is all the Optimum Nutrition Amino Energy products are EAA’s ( Essential Amino Acids ) Plus BAAA’s ( Branch Chain Amino Acids) this means they not only contain what Science has shown helps Post-exercise recovery with the Three Branched Chain Amino Acids L-Leucine, L-Isoleucine and L-Valine but also have an additional 5 Essential Amino Acids including L-Histidine, L-Methionine, L-Phenylalanine, L-Threonine, L-Valaine. 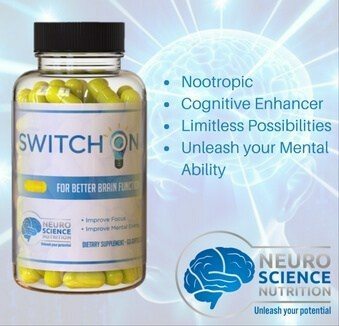 There are 9 Essential Amino Acids Made of the 3 BCAA’s and 5 EAA’s so the only Essential Amino Acid ON Amino Energy does not contain is L-Tryptophan which is a fantastic amino acid beneficial in the production of 5-HTP ( 5-hydroxytryptophan) which then can be converted to Serotonin which is an essential Neurotransmitter in the human body which help regulate Mood , digestion and even sleep . Arginine is also useful to help boost Nitric Oxide production which helps to increase circulation and Vasodilation of the capillaries. Tyrosine also helps to boost Mood. Amino Energy also contains Beta Alanine in the form of Carnosyn which has been shown to help the production of carnosine which can help boost Muscular Power and delay Fatigue during training. Added L-Citrulline which helps with Vasodilation but also can be converted to Argine by the body to help regulate Nitric Oxide Production which can help boost Muscular fullness ( Pump). The New Optimum Nutrition Amino Energy Contains Electrolytes Sodium Chloride , Magnesium Oxide and Potassium Chloride which all play a role in Cellular hydration by forming charged particles called ( ions) these particles then help with the energy producing cells need to contract or even to transmit nerve impulses to muscles to make them fire in the correct sequence . These Ions also have a direct effect on what is called Intracellular and Extracellular fluid to help principal the right balance between both with help optimise performance. Added Caffeine from Green Tea Leaf Extracts and Green Coffee Bean Extracts ( 160mg Caffeine per 9.5g Scoop * 1 Serve ) which is the equivalent to 3 cups of Green Tea or 2.5 Expresso’s ( 30g Shot). 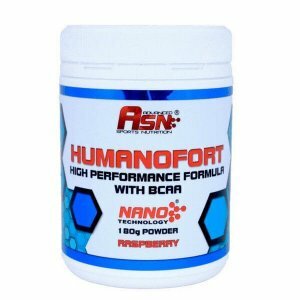 Overall this is a Great Formula if you want to boost Performance during training and gives you a nice little boost from the Caffeine, its a Favorite amongst the Suppkings Staff and we would recommend you give it a try.